A fantastic night out for those who want a bonfire night celebration with a difference. The Gunpowder Plot returns to Boughton House in November 2018. Witness a spectacular re-telling of the events of the 5th of November 1605 with large scale projections, breathtaking theatrical performances and a dramatic soundtrack, all rounded off with a stunning firework display over the grounds of the stately home. This promises to be an explosive night out for the whole family, not to be missed! Back with a bang after one year off, the completely reimagined show will have an all-new soundtrack, script, performance and animation. It’ll be staged in the grounds of Boughton House on Saturday 3rd and Monday 5th November. Gates open at 6pm. The main show starts at 7.30pm prompt. Tickets are available via The Core in Corby. Tickets £15. Children under the age of 5 will not require a ticket. Please note, that all bookings will incur a £1.50 transaction fee; this is per booking and not per individual ticket. Tickets can also be purchased on the night of the event. However, previous events have sold out so booking in advance is highly recommended. If you require accessibility assistance, please contact our Box Office on 01536 470470 prior to purchasing tickets. Boughton House is situated off the A43, three miles north of Kettering. Please use postcode NN14 3AG, and then follow the yellow AA signs for the designated parking for The Gunpowder Plot. Parking is free and will be guided by onsite stewards. The walk from the car park to the site entrance is approximately 10 minutes across the estate grounds. Accessibility parking on hard ground next to the house is available; please contact our Box Office on 01536 470470 for further information. The nearest train station is Kettering. 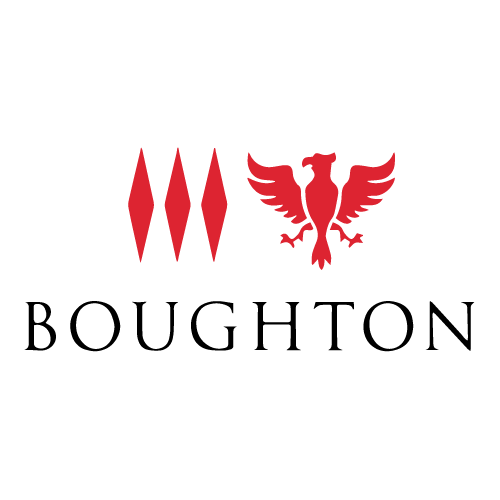 We would recommend a taxi for the remaining 7 mile journey to Boughton House. MBD creates and delivers bespoke experiences that share untold stories to inform, entertain and inspire people from all walks of life. MBD was established in 1997 as a touring theatre company. A few incarnations and over twenty years later we have combined all of that theatre experience with a bit of visual arts, street arts, heritage interpretation, large scale performance, a full scale recording studio and an ongoing interest in technology. MBD now operates in the arts and heritage sector offering a range of experiences from large-scale spectacles to intimate VR experiences. MBD has a strong track record of creating and producing arts and heritage experiences that blend theatrical narrative with new technology. MBD is constantly experimenting with the latest technology to find new ways to present our work and reach new audiences. HOW MUCH ARE TICKETS: Tickets are priced at £15. This is a standard fee for all visitors, with the exception of under 5s, who can attend for free! CAN I PURCHASE TICKETS ON THE NIGHT: Yes, a limited number of tickets will be available to buy at the entrance to the event. Please note, the onsite Box Office is cash payments only. WHAT TIME DOES IT START: Gates open at 6pm. We advise you arrive as early as possible to enjoy our courtyard entertainment and grab a bite to eat. Please remember there is also a 10 minute walk from the car park to the main site. The courtyard entertainment will begin at approximately 6.30pm, this will begin to tell the story of the events leading up to the 5th November. The main show is due to start at 7.30pm but we recommend that you arrive by 7pm to avoid missing any of the build-up. Approximate end time is 8.30pm. IS PARKING AVAILABLE: Yes, free parking is available. The walk from the car park to the site entrance is approximately 10 minutes across the estate grounds. Accessibility parking on hard ground next to the house is available; please contact our Box Office on 01536 470470 for further information. WHAT FOOD AND DRINK WILL BE AVAILABLE: We are working with a great street food company to bring you an exciting offering of food and drink. A licensed bar is also available. Check out our Facebook page for more details of the incredible street food we have lined up for you. CAN I WITHDRAW CASH: No, we do not have ATM card machines onsite. Please bring sufficient cash with you for purchasing food, drink and any additional tickets at the Box Office. WHAT SHOULD I WEAR: This is an outdoor event. Sensible footwear and warm, waterproof clothing is strongly recommended. CAN I BRING A CHAIR: No chairs or picnic blankets can be brought in to the grounds. WHAT ACCESSIBILITY ASSISTANCE IS AVAILABLE: For visitors requiring assistance, we are able to provide seating, hard ground car parking, and a free ticket for Personal Assistants. If you require accessibility assistance or further information, please contact our Box Office on 01536 470470 prior to purchasing tickets.